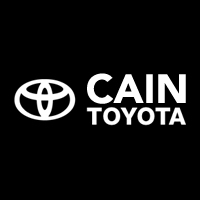 At Cain Toyota, our Parts Department offers a wide variety of performance parts and accessories for all Toyota models. From OEM to aftermarket, see all we have to offer. Please check out our parts specials on all Toyota models including the Tacoma, Corolla, Camry, and other models that we sell. Toyota Parts Center at Cain Toyota offer one-stop shopping for parts and accessories for the do-it-yourselfer as well as for dealer-installed products. Located within our Toyota dealership our store offers a full selection of Genuine OEM Toyota Parts and Accessories. You’ll also find brand-name car-care products at competitive prices. If you’re looking for expert technical help or how-to pamphlets, you’ll find it all our Toyota parts Department we also carry auto body parts too. Genuine Toyota Parts are manufactured specifically for your year and model. They’re just like the parts your vehicle was built with, so they’re the best choice in terms of fit, performance and overall quality we also have TRD performance parts like superchargers, wheels, and many more – and of course, TRD apparel.